The National Teaching Awards were established in 2000 and are now their seventeenth year. There are twelve categories, comprising a range of accomplishments from excellence in primary school teaching to excellence in Physical Science teaching. SchoolNet sponsors the prize for the winning teachers in the excellence in the category for Technology-Enhanced Teaching and Learning. SchoolNet’s Megan Rademeyer-has been an adjudicator in this category since its inception. In 2017, Sara Motsitsi of Reseamohetse Primary School in the Free State won the Excellence in Technology–Enhanced, Teaching and Learning category. Sara teaches Grade 4 Mathematics, has a diploma in IT, as well as her teaching qualifications, and wants to assist her colleagues to use technology effectively in their teaching; Sara said “… Teachers receive tablets without content or instruction and end up not knowing how to use the devices.” The good news is that Sara will receive the help she needs to support her colleagues to progress in their digital journeys because SchoolNet South Africa has offered training to the value of R 30 000,00 for the whole staff as part of Sara’s prize. Esmarie Rohr from Skukusa Primary in Mpumalanga was placed second in the technology-enhanced category and Cecelia Campbell from Erika Primary in the Western Cape was placed third. Each of these winners is able to select any one of the SACE- endorsed SchoolNet SA courses facilitated for teachers at their respective schools. Furthermore each of the three teachers will have an opportunity to attend/present at a conference in South Africa relating to educational uses of technology in the classroom. The presentation of this award can be viewed on the SchoolNet YouTube channel here https://youtu.be/Io8TmTfTQMg. Winners of all categories received a brand new car, a range of technology devices, a legacy hotel holiday break and R 10 000. SchoolNet once again congratulates all teachers in South Africa who work tirelessly to build better futures. can be found at: http://bit.ly/1ZYy8Z7. Today we focus on Matthew Haines. 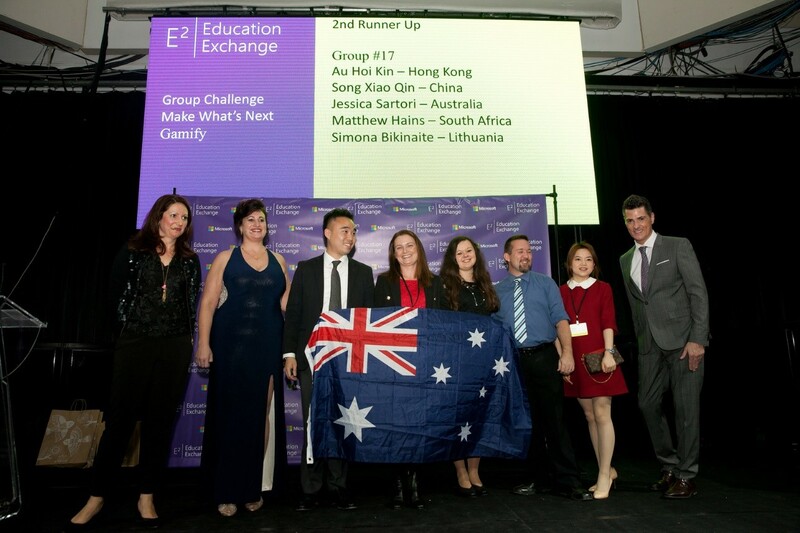 Matthew is an MIEExpert Educator in South Africa, and he was recently selected to attend the E2 Global Exchange in Toronto along with four other South African teachers. Matthew teaches ICT at Crawford College, Sandton. He has been teaching for 16 years. Who was selected to attend? Out of 135 Microsoft Innovative Educator Experts in South Africa, only 5 individuals were selected to attend the conference. I was one of those individuals selected by Microsoft and SchoolNet SA. Only 300 professionals from around the world are invited to this event each year. Where was the venue in Canada? The venue for the event was at the Fairmont Royal York in Toronto, Canada. A beautiful hotel with a vast array of conference venues and rooms hosting the various workshops. What was the on the agenda? The beginning of the conference was marked by a personal welcome by the Prime Minister of Canada, Justin Trudeau! Each day began with keynote speakers — who are professionals in their fields of study and education — providing some insight and inspiration for teachers. After the keynotes - and normally following a short break - focus groups and breakout sessions were available all over the conference venue for teachers to attend. Each day I could choose to attend a different group or workshop. We also had group challenge sessions where each group was given a “hacker persona” and the challenge was to “Make What’s Next” – basically brainstorming and presenting an idea of something new or a new addition to feature in an existing Microsoft product. These ideas were submitted at the end of the allocated timeframe and the runners up/winners were announced at the awards evening on the last night. The groups were already chosen for us and we had representation of many diverse nationalities in each group. My group ran with my initial idea of a Collaboration add-in/feature in the ribbon of Microsoft products which allows a user to instantly have access to an online professional, a colleague or resource without leaving the application and having the ability to share the document/screen for real-time collaboration with whomever you’ve connected with via a webcam and Skype or other collaborative software to work on a currently open document. I am pleased to say that my group, which another teacher and myself sort-of leading the charge with, came in third place overall in our “hacker persona”, for which we were awarded a framed and printed certificate from Microsoft. In fact, 3 out of the 5 South African teachers all placed 1st, 2nd and 3rd in their respective groups – I am sure their schools and Microsoft would be very proud! I attended as many sessions as I could, but the ones that stood out the most for me were Minecraft (both sessions), Microsoft Makecode and the Hacking STEM workshop. 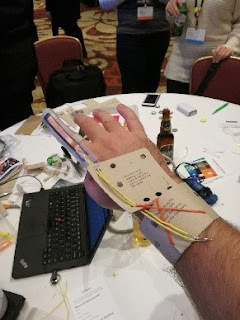 I got to make a robotic-controlled finger in a STEM workshop and also learnt how to program a mini-led computer. The main activity on the Thursday the 23rd of March was the “Market Place” event, which lasted most of the afternoon. Hundreds of teachers set up little demonstration booths showcasing an activity, lesson or project they had undertaken using technology as part of the process. Teachers were not only given the opportunity to showcase their work but also had plenty of time to “shop around” at other booths, gaining ideas and inspiration from other teachers from all around the world. The interaction of teachers from all over the globe is something to be witnessed! 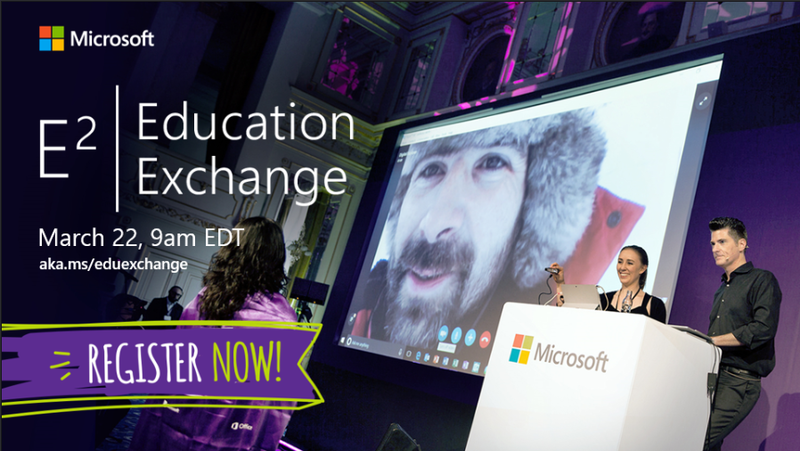 The Microsoft E2 Educator Exchange is a once-in-a-lifetime experience worth every minute. Being exposed to new technologies, new ways of thinking and ideas from teachers of all subjects from all around the world, is an experience that ignites one with a renewed vigour for teaching with technology. I was inspired by new ways of using various applications such as OneNote and Sway. I took consolation in the fact that I was not alone as a teacher, that, many other teachers in schools across the globe face the similar issues and challenges as us here in South Africa and require innovative teachers and students to address these issues and overcome these challenges. I gained a new respect for the incredibly powerful Microsoft OneNote, both as an organisational tool and assessment facilitator. I saw how teacher and student can collaborate on projects together, receive immediate feedback in a tangible form and how the software aids communication between teacher, student and also amongst staff members. OneNote handled all forms of files types effortlessly and streamlined the entire process of certain tasks from drafts to final versions. Though I do not discount my hard work, perseverance and desire to always learn and grow, I am yet incredibly grateful to have been awarded this opportunity. I have returned home challenged, inspired and encouraged. can also search for Twitter for the hashtags #E2 and #MIEExpert. 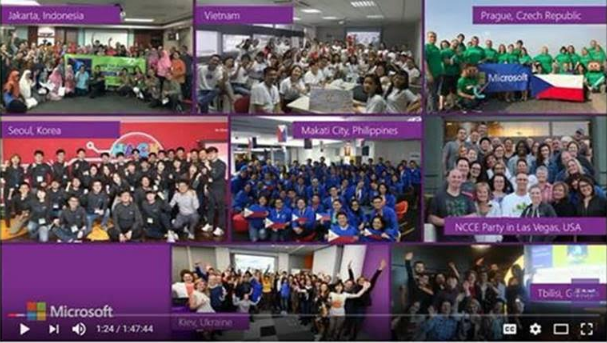 This is the 24th post in the series "MIEExpert Spotlight" for South Africa. The tab with all the posts can be found at: http://bit.ly/1ZYy8Z7. Today we focus on Amandla Vinjwa. 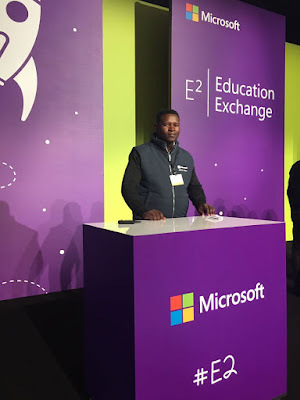 Amandla is an MIEExpert Educator in South Africa, and he was recently selected to attend the E2 Global Exchange in Toronto along with four other South African teachers. Amandla is a primary school teacher at Sivile Primary School in Cape Town, Western Cape. He has been teaching for 8 years. What is the Microsoft E2 Global Exchange? 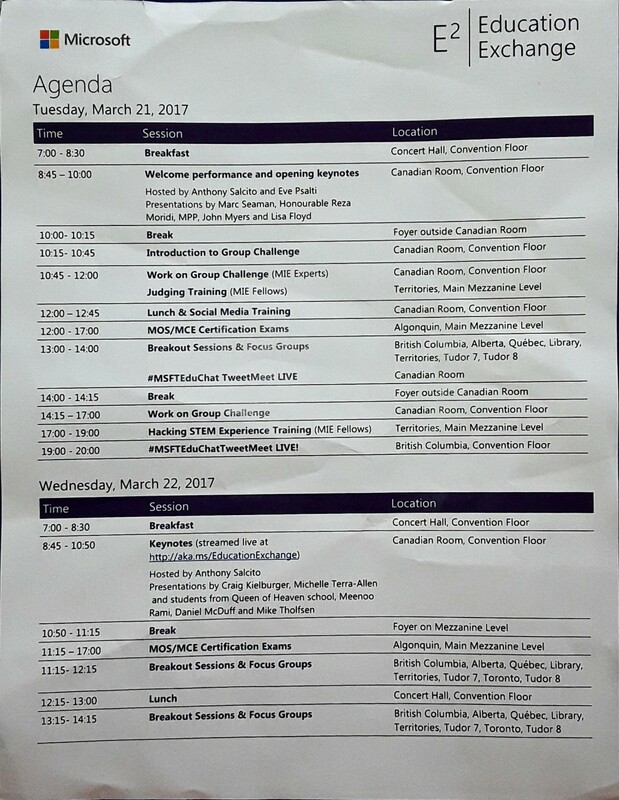 The Microsoft Education Exchange (E2) was held in Toronto, Canada from March 21 through to March 23, 2017. This is an exclusive invitation-only event for 300 MIE Experts and Fellows. This is Microsoft in Education’s annual event recognizing and celebrating the achievements of educators who combine content, pedagogy, and technology in exemplary ways to prepare students for success. 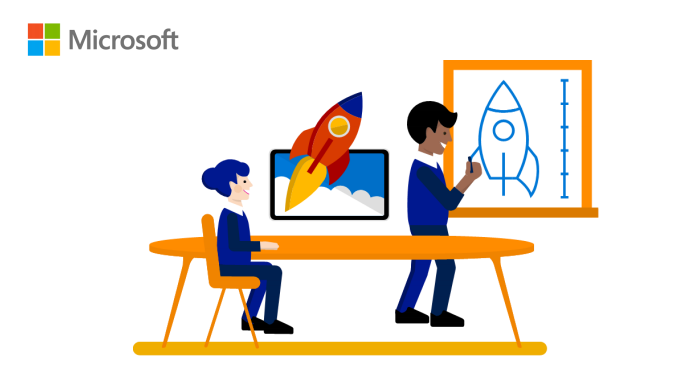 Microsoft brings together the most innovative educators from around the world to collaborate, create, and share their experiences on how to integrate technology and pedagogy to advance learning, achieve student outcomes, and transform education. Amandla attended the E2 along with four other South African educators, accompanied by Angela Schaerer from Microsoft and Megan Rademeyer from SchoolNet who is a Microsoft Fellow. I am thrilled to share my experience with all other educators. 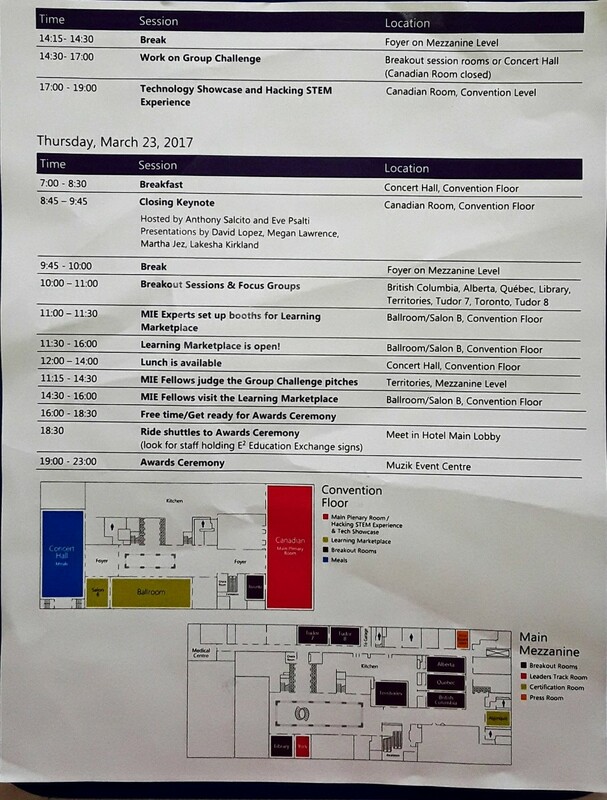 I had an opportunity to be part of the MIEE team headed to Toronto to attend E2 annual event. Indeed its a life time experience getting to connect with other educators around the world. To share ideas , and views about different ways of teaching. Teaching and learning strategies and the resources they use to enhance the learning process. The integration of the ICT in the classroom specifically the Microsoft tools designed and tailor-made to fit in each and every classroom environment. in teaching practice to support the learning , to diversify teaching and learning to accommodate different learning abilities and overcome learning barriers. All the activities and sessions were fruitful and indeed were learning experience as well to see which Microsoft tools could be used to suit your class as well to help you achieve your learning goals . To instill discipline, enable classroom management to give learners a task to take full responsibility for their learning , to develop the desired knowledge and skills. Both subject and other skills set which includes the 21 st Century skills. Innovative and creative ways of teaching stimulates our learners minds and challenge them to task. Then on that due process they become proactive in their learning. The skills set thus from low order thinking to high order way of thinking(Bloom' s taxonomy). The paradigm shift of doing things thus stop learners from being consumers and users of the things produced already and challenge them to play a meaningful role and be producers and creators of things. To be good and critical thinkers. If you are a teacher who likes to be innovative in the classroom, think about entering Microsoft's Innovative Teacher MIEExpert 2017/2018 program when applications reopen later this year. You can learn more about the program at this link: http://bit.ly/1H4gKcB on the Microsoft Educator Community. The E2 - Education Exchange is Microsoft in Education’s 3-day annual event recognizing and celebrating the achievements of educators who combine content, pedagogy, and technology in exemplary ways to prepare students for success. The aim of the E2 is to encourage educators to be inspired, empowered, and equipped to make transformational changes to classrooms everywhere. The E2 is currently taking place in Toronto Canada. 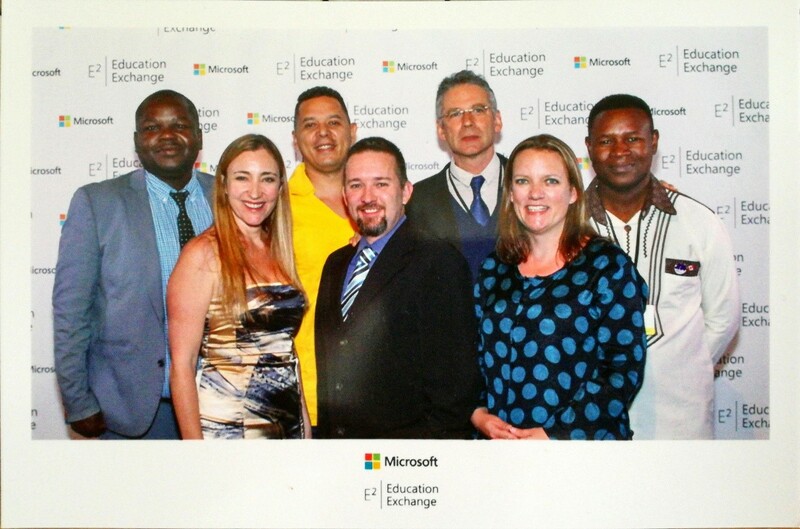 Five South African MIE Expert educators were selected to attend this event accompanied by Angela Schaerer from Microsoft South Africa and Megan Rademeyer from SchoolNetSA who is also a Microsoft Fellow. Angela Schaerer refers to the five as "The Boys". We thought you might like to know something about the five from South Africa. 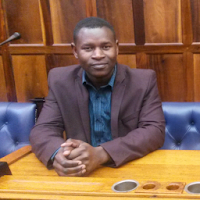 Amandla believes that technology is like a bridge that could help you to cross a gigantic river. It has allowed him to use creative and innovative ways of teaching and learning. It allows learners to participate in their teaching and learning. It allows learners to be pro-active in creating a meaningful lesson. Amandla believes that due to technology he is able to reach all the learners with different learning abilities. Sway is an example of app that promotes more engaging lessons. The learners collect, store and share their work electronically. As a teacher it is possible to reach and give individual support and group support as the learning objectives and outcomes are clearly visible. Microsoft's online resources make it possible for us as teachers to develop 21st Century skills, thus Collaboration, Critical Thinking, Problem-solving, and Self-regulative skills become part of learning. The offline resources such as Office packages apps, Microsoft Word, PowerPoint, Excel, Publisher, etc. are useful tools that support teaching, learning and administrative duties. When asked what he is expecting from the E2 event Amandla said, "I have great expectations of the E2 Exchange event. I see the E2 as a life changing experience and an opportunity to learn from other like-minded educators, teachers and technology leaders across the world. I am hoping to learn about new Microsoft tools that I can implement in my classroom. I am hoping to participate in new ideas with the technological leaders I meet. I am planning to learn what they do and how they do things in their classrooms. I hope to gain more knowledge and skills about the integration of technology into teaching as well to collaborate with teachers across the world. I plan to gain a wealth of networking opportunities with the global community. I am looking forward to meeting other teachers and being able to connect with them after the event to create educational, professional continuous engagement." Freddy sees the E2 Exchange as a lifetime opportunity to meet over 300 Innovative Educators across the globe in a setting where we can learn from one another and find the best ways to combine content, pedagogy and blended technology to achieve greater student engagement that will lead to better student outcomes. He wants to see how other educators are integrating technology in their learning spaces and he plans to come back and share with his colleagues in South Africa. At SAHETI School they have implemented BYOD as opposed to other schools introducing dedicated computers for the students. They believe the technology you introduce into your educational environment not only needs to be device-agnostic but also browser-agnostic. All their products that they have introduced can work on any platform. The teachers have taken to OneNote during the course of 2016 and will love the introduction of Microsoft Classroom when they introduce it. SAHETI has over 75 Smart Interactive Whiteboards, 50 Aruba iAP 225 access points, state of the art HP 3PAR and SAN technology and fibre break out. With the introduction of Office365 to the students and teachers, they have enjoyed the interaction in their third term SAM project, whereby students and staff needed to interact with any form of technology. Teachers not only use technology to interact with the student via our movie creation, but also enjoy having a fun quiz on their LMS SharePoint environment. Justin believes that one of the exciting prospects of the E2 is the various educational opportunities offered at the conference. Everyone can learn no matter how experienced they are. He is looking forward to networking with peers and feels the best way to approach it is with collaboration. But best of all he is looking forward to having fun. All work and no play can make you old too fast! This conference can add a layer of enjoyment to managing your career growth by mixing a social aspect into your learning efforts. 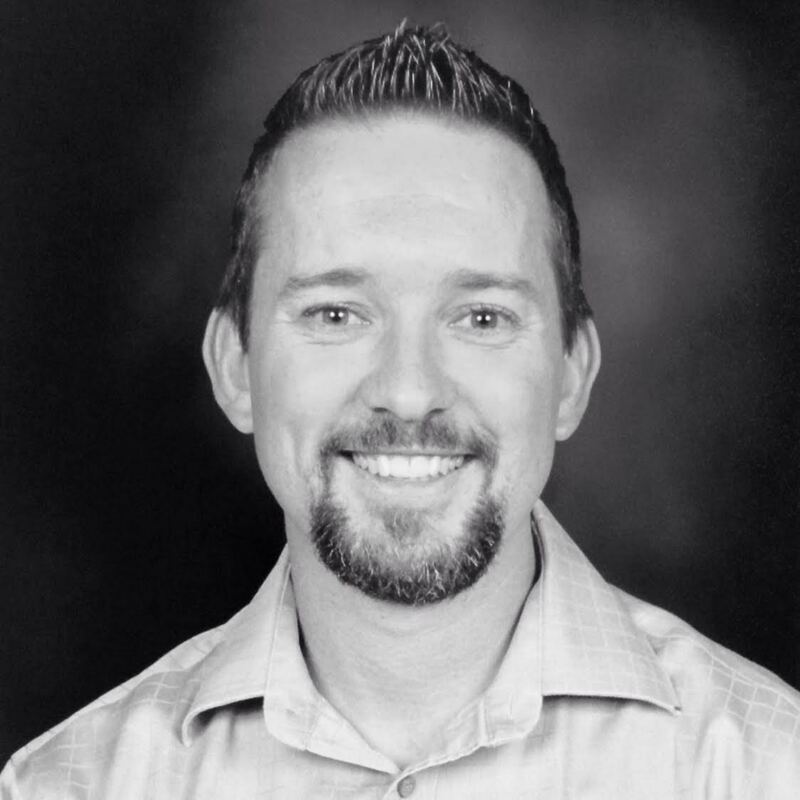 Matthew, who was also the 2016 ISPA teacher winner in the technology section, likes to integrate technology into every lesson and empower students to do more, more efficiently! he says that the most exciting technology advancement that he has seen is the advancement of tablets becoming more commonplace in the classroom and the increased access to online resources via the Internet. Matthew hopes to gain inspiration from other teachers. He also hope to gain knowledge he have not yet obtained in my teaching with technology. He hopes to form links with other teachers and perhaps collaborate with them across international borders. Peter's aim is to teach his students to use the thinking and problem solving tools which are built into the various Microsoft products. Peter's learning activity that he presenting on at this eventt is called The Learning Journey. It is a year-long programme that teaches Grade 8s the academic and ICT skills and tools that will carry them through their High School years. By learning how to use the built-in academic and thinking tools in Office 365, students develop their ability to read, write and think. Peter says he is hoping to meet many innovative colleagues from around the world, and to learn from them at the E2 Exchange. 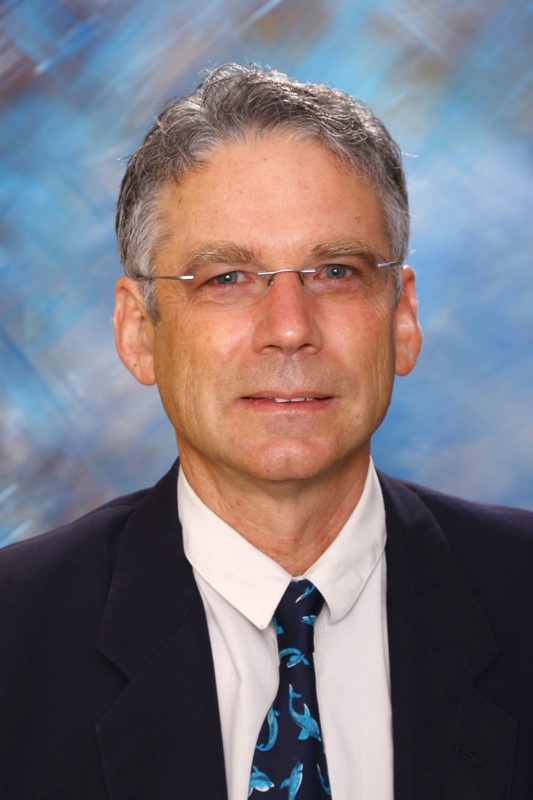 He hopes to stay in touch with them, and create links between their students and his. He hopes to experience what is cutting edge in education and see how he can apply those ideas in his own practice. Why not host a digital streaming party for the upcoming Global Exchange E2 live event from Toronto on Wednesday 22nd March? 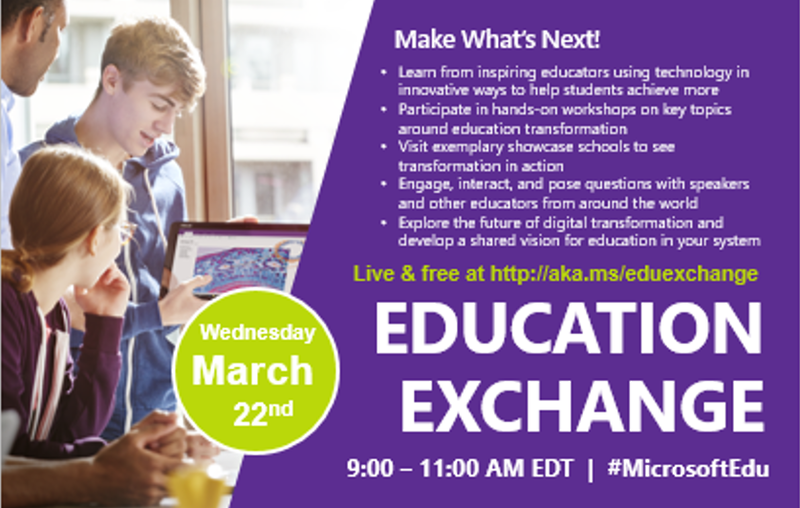 Microsoft’s E2 – Education Exchange is opening its doors and inviting all educators to join them on March 22, 2017, at 9:00a.m. EDT (this will be 15:00 in South African time). ! This FREE, online event is designed to provide insight into the latest trends in education. 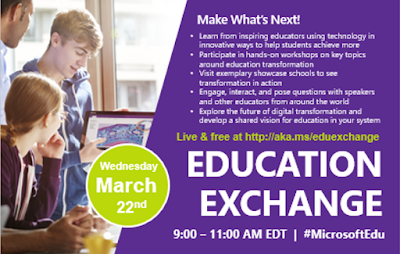 You are invited to learn from education thought leaders, innovative educators, and students – to be the change in your school or system and make what’s next! Think about inviting a bunch of educator colleagues and friends over for a live streaming party on Wednesday 22nd March at 3pm in South Africa when the live streaming of the E2 event in Toronto takes place. This is an incredible opportunity for collaboration, discussion, and inspiration! You’ll catch some of this in the live streaming session. 4. Create an “Inspiration Board” and ask your attendees to post their answers! Choose a wall, window, whiteboard, or any other surface in the room of your event, and ask participants to answer an open-ended question related to the theme of the event such as "What is your small step to big impact?" Have the educators write their responses on post-it notes and add it to the Inspiration Board. Encourage them to share their responses on social media, and don’t forget to Tweet the final board with all the responses! 5. Ask the educators present to come up with a post-event Mission Statement. After the event is over, have educators write down one thing they will do in their classroom, something they will implement, or an idea that was sparked. You can have educators write these down on whiteboards and create a photo collage of ideas that the educators can share on social media, or compile the responses into a powerful blog post. 6. Connect with the world by posting to social media! Assigning roles and responsibilities not only ensures the live streaming party goes more smoothly, but empowers and engages participants. Roles can include someone to monitor the discussion group, represent the streaming party on the live global chat, take pictures, post to social media, reply to other Tweets online, take questions, etc. On Wednesday 15th March at 3.30pm that Megan Rademeyer and Angela Schaerer presented a free Microsoft Virtual Academy webinar from the Microsoft Office in Johannesburg on ‘Minecraft Education Edition’. Microsoft was originally developed in 2009 by a Swedish game designer Markus" Notch" Persson, and later fully developed and published by Mojang. It became one of the most popular games in the world. In 2014 Microsoft bought this game and launched an Education in Edition in 2016 as they saw the value of Minecraft. It was officially launched in South Africa last week, 6th March. . At the launch, Stephen Reid of Immersive Minds shared his experiences of being a games-based learning pioneer and gave powerful examples of lessons using Minecraft which students from around the world have benefitted from. If you missed out on this inspiring keynote, you can watch the recording of the Skype broadcast. Description: Minecraft is an open world game that promotes creativity, collaboration and problem solving in an immersive environment. Are you wondering how you can use Minecraft in your school? In this webinar the presenters provide an overview of Minecraft: Education Edition. They explain the difference between the original Minecraft and Minecraft Education Edition and show how it can be used very successfully in different subjects in a classroom. The teacher has more control in the Minecraft Education Edition. They will give a wealth of ideas for using Minecraft in your classroom. You’ll find out more about how to access Minecraft: Education Edition for your school and the resources for using it in your classroom. Your learners may very well already be playing Minecraft - but Minecraft: Education Edition makes it easier for teachers to develop lessons that use the game to teach subject content and develop 21st century skills. One of the interesting things they point out is that Minecraft Education Edition allows the creation of non- Player characters (NPCs). For example if the teacher wants to give specific instructions or information to the players within the Minecraft world he/she could create these NPCs to do this. The presenters will point you to the amazing resource site https://education.minecraft.net/. Note: This recording will be available for approximately a month after the live call. Thereafter it will become available on Microsoft Virtual Academy. The link will be added to this post once that happens. The province of the Eastern Cape is plagued by historical backlogs in the provision of universal access of basic services. There is a greater demand now more than ever before to close the rural- urban digital divide in Eastern Cape. The MEC of the DRDAR, the Hon. Mlibo Qoboshiyane in his 2014/15 policy speech, pronounced that the department, in partnership with the Department of Education and other stakeholders, would support at least 100 rural schools with broadband connection. Seven schools were selected to participate in this initial phase with the first school Bethania Secondary being used as a case study for the proof of concept. A baseline study was undertaken to provide a clear picture of the situation on the ground in terms of available infrastructure (computers, electricity), staff, learners and their matric pass rate. 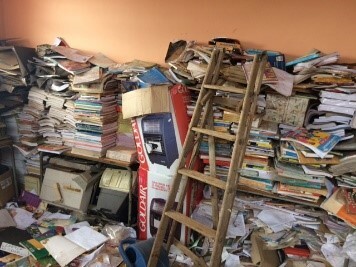 This report thus presents the findings of that study as well as the first of SchoolNet’s activities to help clean up the school. Nestled in the Sathube Location, Bethani Admin Area, Mt Fletcher, Bethania is far from the beaten track and 35km on top of a mountain. The school has a total of 10 staff and a total of 407 learners between Grades 8 and 12 are also registered at the school. In the true spirit of partnership, all partners agreed to work together to help the school. SchoolNet SA committed to assist the school by helping with basic renovations before installing ICT infrastructure and completing teacher professional development interventions. The school with its governing body committed to fix the roof in the admin block as well as the leaks in the designated ICT classroom. 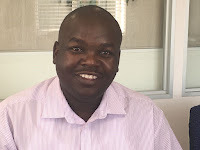 The DRDAR promised to mobilise the municipality for the supply of electricity and the Department of Education agreed to re-distribute desks and chairs from schools that had been recently closed down. In February 2017, SchoolNet’s Mr Themba Mabaso and Ms. Mathapelo Sehume travelled to the Eastern Cape and worked with learners and teachers to address the challenges that could be solved as well as assess the progress identified in December 2016. Assessing the classroom desks and chairs that could be fixed and reused. The work at Bethania Secondary School is a humbling experience as school on top of the mountain had clearly slipped off the radar. With minimal assistance the school is now working toward instilling pride and ownership from its learner and parent body. Stay tuned for more progress as we extend our support throughout 2017.